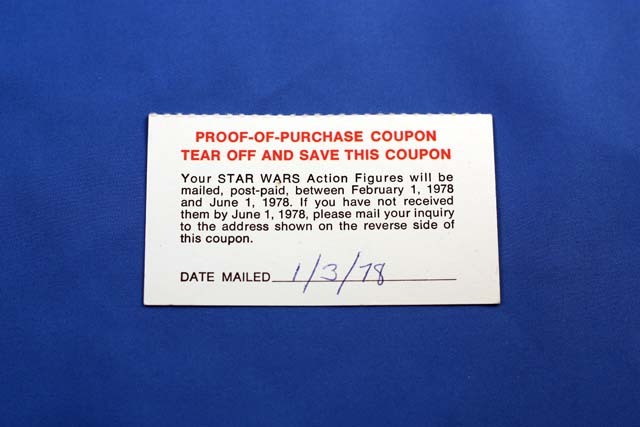 Most collectors know the story with having lived through it, but here’s a basic recap. 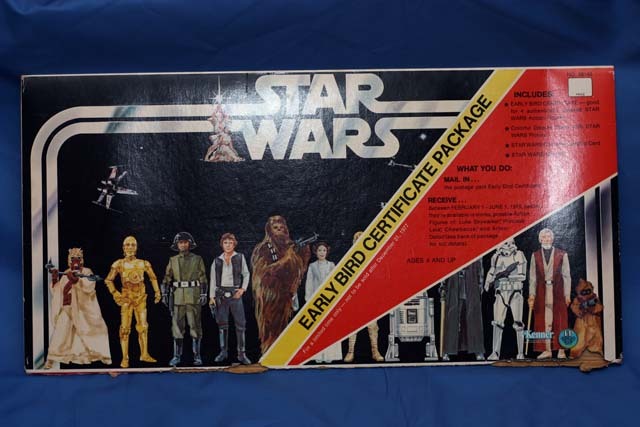 With Christmas of 1977 rapidly approaching and Kenner not having the toys ready in time, President of Kenner, Bernie Loomis, came up with the idea to sell an “empty box” for parents to put under the Christmas tree. 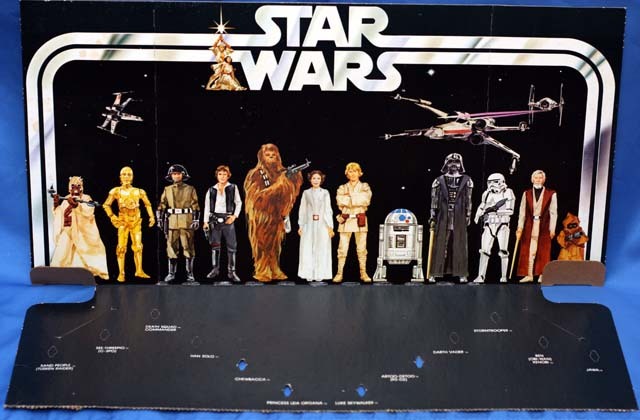 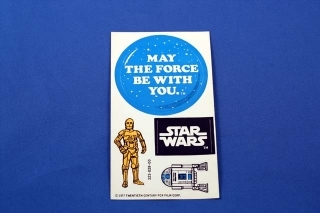 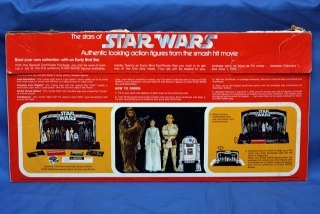 The promise was that while only getting some cardboard with fancy graphics for Christmas, that they’d still be some of the very first children to receive the figures when they were ready and there’d still be something to sell during the best toy selling season of the year. 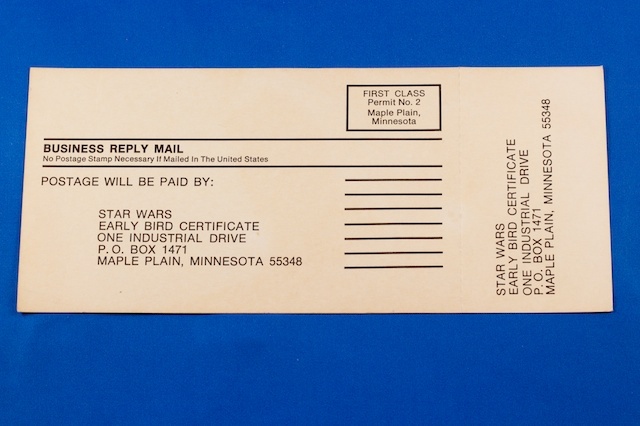 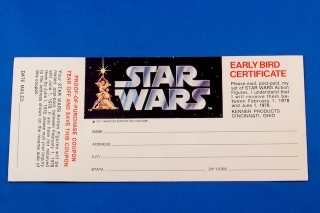 I made a very specific contract with the parents, not the child, buy this package now and the child would have a pretty picture of all the Stars Wars Characters for Christmas and, by May of next year would be among the first to receive the very first Star Wars figures directly from Kenner—May was certain, we actually completed shipment by March, and I had seeded America. 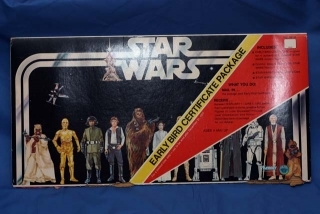 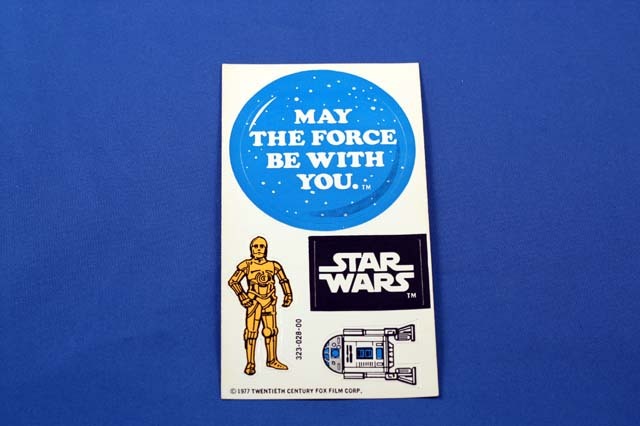 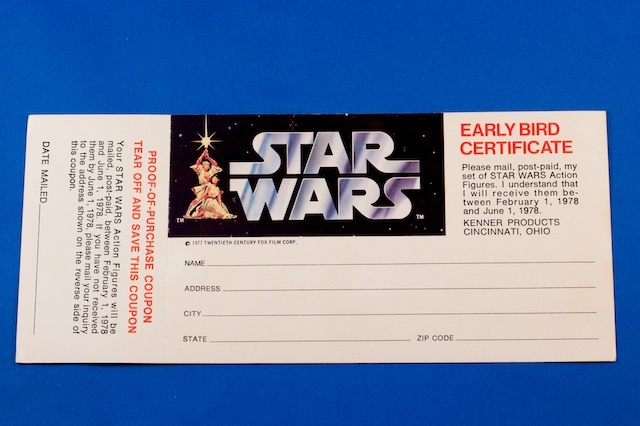 I could picture kids all across the country rushing off to school and saying “Look what I got!” We limited sales to 500,000 units and the 1,500,000 figures in the Gift Certificate Program led to the sale of 40,000,000 figures the following year. 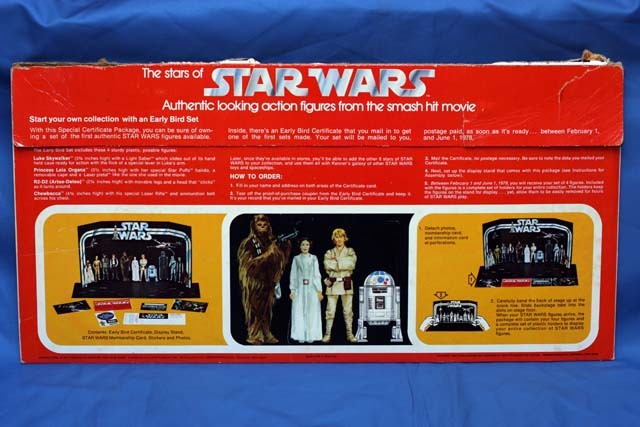 The promotion was advertised in newspapers and on television. 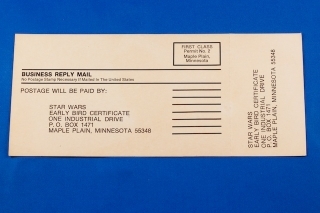 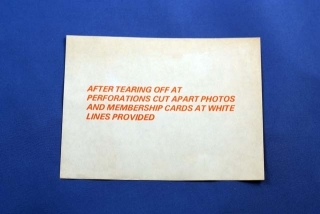 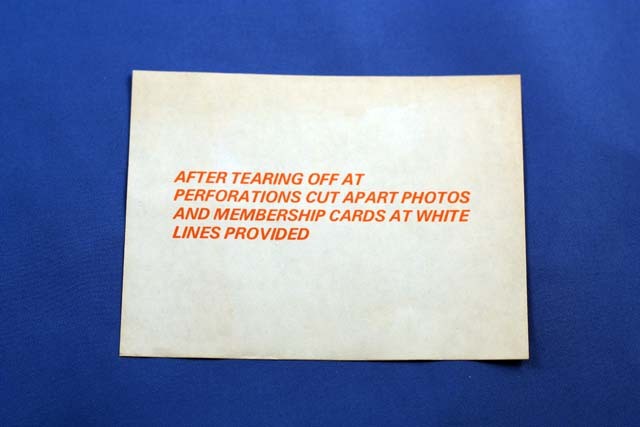 Envelope, Display Stand with attached perforated cards, Stickers, Instructions for cutting up the perforated cards, Proof of purchase coupon, and the Mail In Certificate. 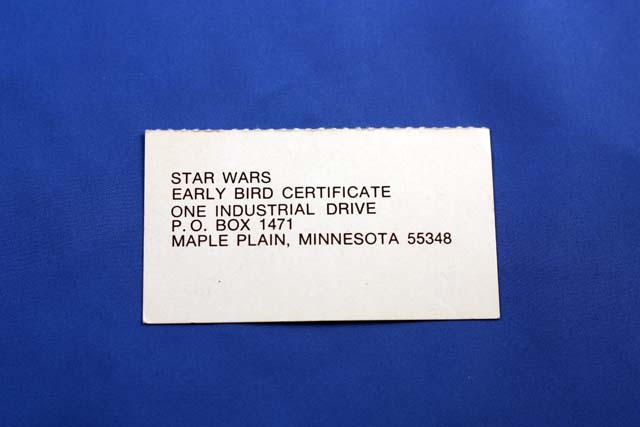 Because most of the opened envelopes were used to send away for the figures, it is very uncommon to find a loose version of the actual mail in certificate that was used to send in for the figures. 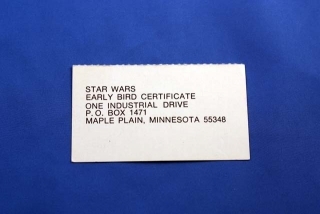 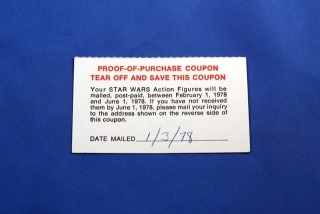 Here’s a complete example with the tear off proof of purchase that allowed you to write the date that you sent away for your set of figures.